Attribute Sciences, Process Development, Amgen Biopharmaceuticals are drugs manufactured bygrowing genetically engineered cells in bioreactors to produce a therapeutic protein. 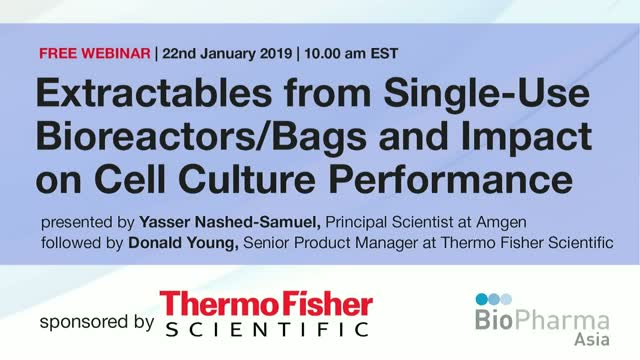 Plastic single-use bioreactors are of interest to biopharmaceutical drug manufacturers due to their significant environmental and cost benefits and flexibility over stainless steel bioreactors. Effect of plastics on the biomanufacturing process is not yet completely understood. A case study on extractables from single-use bioreactors and impact on cell culture performance will be presented.